The project director Alexei Kozmin speaks about the key principals that were used in the project for the territory in the historical center of Irkutsk: multifunctionality, harmony with man, permeability, careful attitude to history, etc. KOZMIN, Alexei. 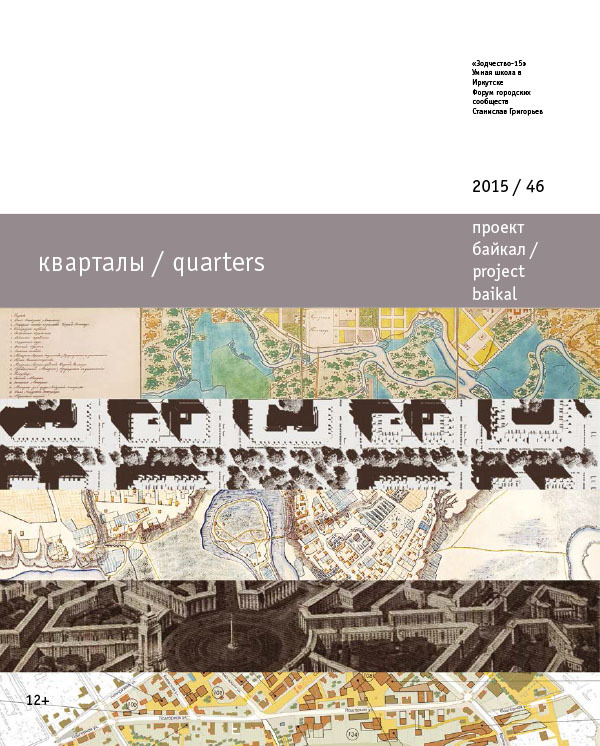 Irkutsk’s Quarters: Preamble by the Project Director. project baikal, Russian Federation, n. 46, p. 74-74, dec. 2015. ISSN 2309-3072. Available at: <http://projectbaikal.com/index.php/pb/article/view/949>. Date accessed: 23 apr. 2019. doi: https://doi.org/10.7480/projectbaikal.46.949.